Our hardworking team at The Kratom Truth assures every new and existing viewer a very remarkable website for all Kratom concerns. We continuously develop our Kratom blog by sharing pleasurable topics that will definitely catch our viewers’ attention. We aim to provide every viewer with reliable information when it comes to using Kratom. Having the necessary information is vital regardless if they are new or existing users. We want to make sure that all our viewer’s health is not compromised. This is why our team is doing their best to review all blog articles before sharing it. By doing so, we prevent publishing any content that’s misleading and avoid undesirable consequences. Part of a viewer’s struggle is determining which among the numerous Kratom sources provides unbiased Kratom brands and vendors review. Fair reviews are important for viewers to decide which brand or vendor suits them best. We aim to promote reliable brands and vendors to help our viewers further; hence, our team preserves fair judgment when it comes to publishing reviews, regardless if it’s positive or negative feedback. Apart from maintaining a convenient and educational Kratom blog, we make sure that we provide all our viewers’ ease of communication. 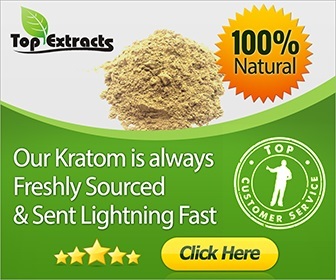 As we aim to be a one-stop Kratom source, we offer all the things you need and want to know in just one click. Our website’s functionality will work in favor of our viewers. Whenever you have concerns about our Kratom blog articles such as typography errors or other word edits, you can send your concerns to editor@kratomtruth.com. Whenever you have advertising concerns, send it to advertising@kratomtruth.com, and our advertising team will be more than happy to assist you. We want to uphold an intact communication with our viewers, and these email addresses are the main point-of-contact for all your Kratom concerns. Our team guarantees you our full support in attending to all your needs. Please use the contact form below to reach a member of kratomtruth.com.